Valentine Day 15 love shayari in hindi love status shayri: Today, the world is celebrating Valentine's Day. Whether it is modern or not, even today, some people have kept the old 'content' of love alive in many ways. These people have the first place of auto drivers. 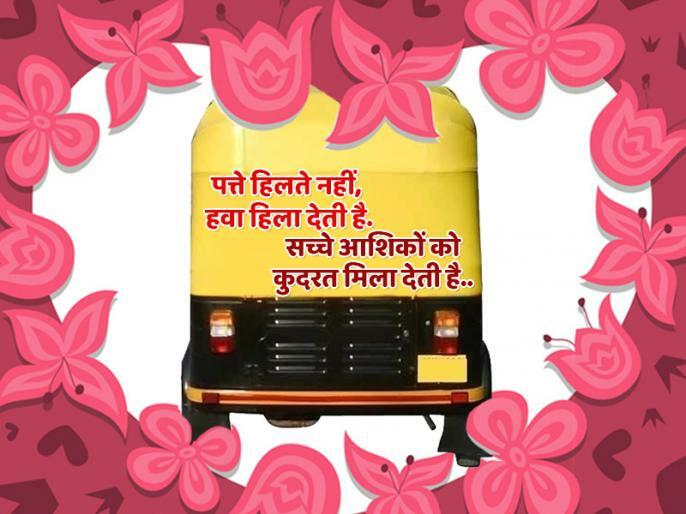 Some shayari painted on love stuck in the auto-rickshaw as a sticker instead of appearing in the pages of the book.